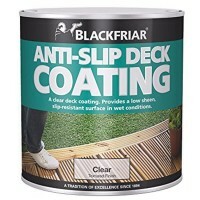 Blackfriar Anti Slip Resistant Decking Coating Features Size 2.5 litre. Colour clea.. Size: 2.5 litre. Coverage: Approximately 4-5 square metres depending on the nature of w..
Ronseal Ultimate Protection Decking Oil Features Colour: natural oak. 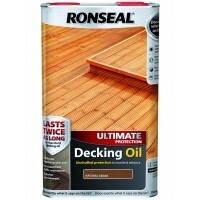 Size: 5 litre..
Ronseal Ultimate Protection Decking Oil Features Colour: dark oak. 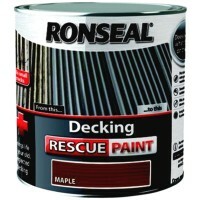 Size: 5 litre. 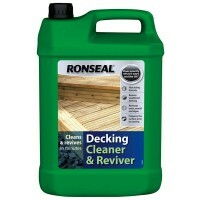 ..
Ronseal 35903 Decking Cleaner and Reviver Clear 5 Litre Features Size: 5 litres. 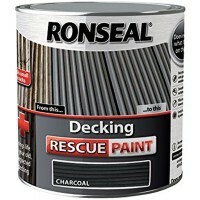 Co..
Ronseal Ultimate Protection Decking Oil Features Colour: natural cedar. Size: 5 lit..
Colour: dark oak. Size: 2.5 litre. Rainproof in 90 minutes, Re-coat in 4 hours. 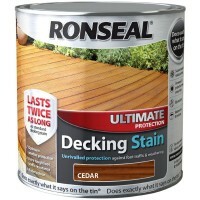 ..
Colour: cedar. Size: 2.5 litre. Rainproof in 90 minutes, Re-coat in 4 hours. 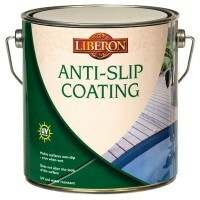 ..
Liberon Anti Slip Decking and Stone Coating Features Size 2.5 litres. Makes surface..